CARACAS, Venezuela (AP) — A Utah man imprisoned in Venezuela for two years without a trial is making an emotional plea for Americans’ help getting out of a Caracas jail, saying Wednesday in a clandestinely shot video that his life was threatened during a riot in the country’s most-notorious prison. In two 20-second videos shot on a cellphone and posted on his Facebook page, a visibly distraught Joshua Holt suggested that his patience is running out with the U.S. government, which has made his release a top priority in its dealings with Venezuela’s socialist government. “I’ve been begging my government for two years. They say they’re doing things but I’m still here,” Holt said. 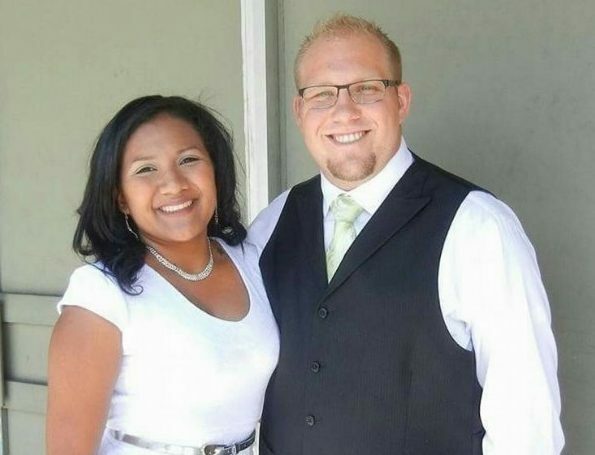 The 26-year-old Holt traveled to Venezuela in 2016 to marry a fellow Mormon he met on the internet. Shortly afterward, the couple was arrested at her family’s apartment in a Caracas public housing project after police said they found him stockpiling an assault weapon and grenades. His first-ever video message from jail came amid what the U.S. government described as a “riot” Wednesday by fellow inmates, including some of President Nicolas Maduro’s top opponents being held alongside the American. The disturbance, the extent of which was not immediately known, came as Venezuelans are on edge days before a presidential election that Maduro is widely expected to win despite a crushing economic crisis marked by widespread shortages and hyperinflation. “The people have taken the entire prison. They’re trying to break in. They’re saying they want to kill me. They’re saying they want me as their guarantee,” Holt said in one of the videos, without clarifying who was allegedly trying to harm him. Chief Prosecutor Tarek William Saab sent a commission to the El Helicoide prison to speak with a representative of the inmates. While he didn’t provide details about the disturbance, or what sparked it, he said on Twitter that the delegates offered to coordinate with prison and judicial authorities to address the demands of inmates at El Helicoide, which is the headquarters of the feared Sebin intelligence police. The inmates were demanding due process rights like speedier hearings and the immediate freedom for prisoners who have received a judge’s release order. Foro Penal, a lawyer cooperative, said 20 of the 54 detainees there that the opposition deems to be political prisoners have been granted parole, but are having their release blocked by the government for no stated reasons. Socialist party leader Diosdado Cabello accused the inmates of staging the revolt to spread anxiety ahead of Sunday’s vote. The Trump administration has suggested there are political motives for Holt’s continued detention. His trial on weapons charges was scheduled to start Tuesday but Holt and his wife, Thamara Caleno, were never taken to the courthouse by their jailers. “The Sebin has told me that as long as my government continues attacking this government and as long as Marco Rubio continues talking about me the longer that they will never let me go,” Holt said in a written message, referring to the Republican senator from Florida who has accused Maduro of keeping Holt as a “hostage” to extract concessions from the U.S. The Trump administration has warned that it could put crippling oil sanctions on Venezuela if Maduro goes ahead with what the U.S. and others consider a sham presidential election Sunday. Several of Maduro’s top opponents are barred from running. A group of about 30 people, many of them family members of inmates considered by many to be political prisoners, gathered outside the jail to seek information about their loved ones as a number of videos and audio recordings from inside the jail flooded social media. None of the prisoners’ claims could be verified by The Associated Press. In one, Daniel Ceballos, a former opposition mayor, is seen trying to jimmy open the padlock on a cell using a dumbbell and iron rod. In another, a shirtless youth runs down a narrow hallway and knocks out an overhead light with a long stick to shouts of encouragement by other inmates. 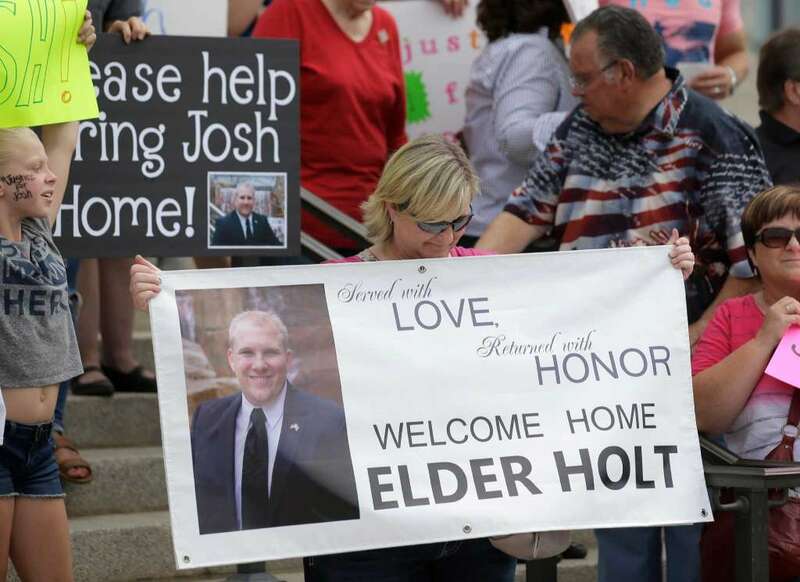 Amid statements of concern by Utah’s congressional delegation, Todd Robinson, the top American diplomat in Venezuela, rushed to the foreign ministry to seek information about Holt. But he left shortly after nightfall with no answers, saying he was unable to meet with the foreign minister and other officials, including Maduro, either didn’t take the embassy’s calls or claimed not to have any knowledge about the case. “We are concerned about the riot at El Helicoide,” Robinson said, referring to the helix-shaped building where Maduro’s top opponents are being held. Associated Press writers Scott Smith and Fabiola Sanchez in Caracas contributed to this report. “Mother said her son flew down to the Dominican Republic to propose to her, despite having known each other through online communication for less than six months.” “Everybody said he can’t go there, it’s dangerous,” Holt said. “His wife even said that it’s very dangerous for Americans to be there, but he said, ‘I’ll be OK.’ He was in love. They don’t listen when they are in love.” This woman had two kids already from a previous marriage! Although I don’t doubt that the charges are bogus, this idiot deserves everything he is going through. Sounds like this wife of his was just looking for US citizenship. This is only news because he is part of the Utah cult and served his time as a snake oil salesman for the church. well said, filter. It’s more pathetic than anything. Guy must’ve been desperate. It boggles my mind how people can care less about the Palestinians killed daily, but freak out when ONE of their clansmen (who lets face it: Is probably a clandestine operative) has to deal with the consequences of his actions. I hope he makes it home ok, but I really don’t get it. Not a smart move going to any third world country but especially a socialist hell hole like Venezuela hopefully he gets out alive. As far as Palestinians trying to breach the border to kill Israeli’s all while being paid by a Terrorist organization like Hamas I’d say Israel practiced a bit of restraint could of taken out about 4x that from the pictures I saw. Could care less about the Palestinians killed though had they gotten in they would of killed a lot of Jews. I have an Idea. I’ll write a book that says “And behold I say unto you, God said your house is mine”; then I’ll come steal your house and force you to live in the back yard. I will control your energy and water resources. If you don’t like it, your a terrorist and its fine for me to bomb or shoot you. Does that seem reasonable? Oh and Team America (… Yaa) is on my side, so if you want to bring your friends over, we can wipe you out. You sound like one callous SOB, rabbit boy. I’m not sure who convinced you that the israeli jews are on our side. They actually work for themselves only, behave like a terrorist organization, and are deeply entrenched into the US gov’t with their extremely corrupting influence. I find it so so deeply ironic that these israeli jews have dehumanized the Palestinian arabs the same way the nazi SS death squads were taught to dehumanize jews. I think the irony might be lost on these same jews. Wouldn’t say callous I just call them as I see them. Hamas is a terrorist organization and been designated so since 1997. It’s only logical to kill terrorist that are trying to enter your country and kill your citizens. Also the only ones waving american flags in that region ever that I’ve seen are the Israeli’s and the ones burning them always seem to be the Palestinian’s. Pretty cut and dry in my book. Guy could’ve easily been some type of CIA operative or something going in under some BS cover story of marrying that woman. Many many mormons work in intelligence. Hell, we’ve got that massive NSA operation right here in good ol’ mormonville utah. I don’t trust so much of the BS spewed by gov’t sources. Plenty of americans still get into and out of Venezuela as dangerous as it is. The whole story reeks of BS. If that’s not the case I’ll stick to the earlier comment: guy must’ve been pathetic and desperate. Don’t wanna contradict myself too badly. Either scenario doesn’t surprise me. I’ve heard it all.